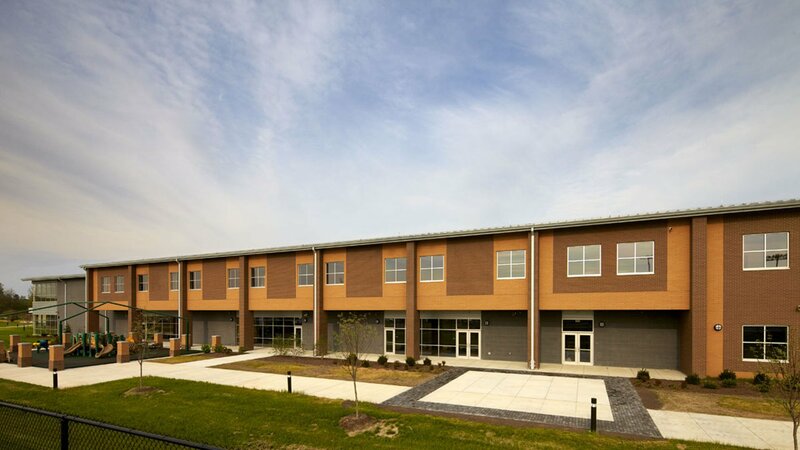 The new Dorchester Career and Technology Center is a product of the design efforts of Hord Coplan Macht’s architects, landscape architects and site planners. 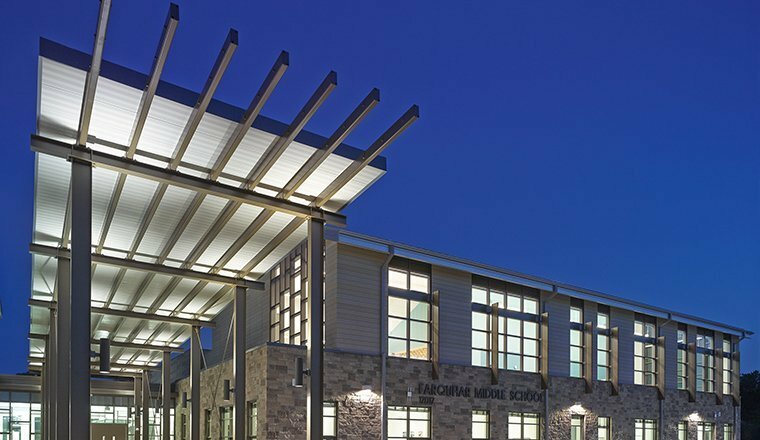 A feasibility study by the team determined the best solution was to build a new facility rather than re-use the school’s existing building. To guarantee the highest State funding, the owner asked the team to map out how curriculum needs could translate into the new building. 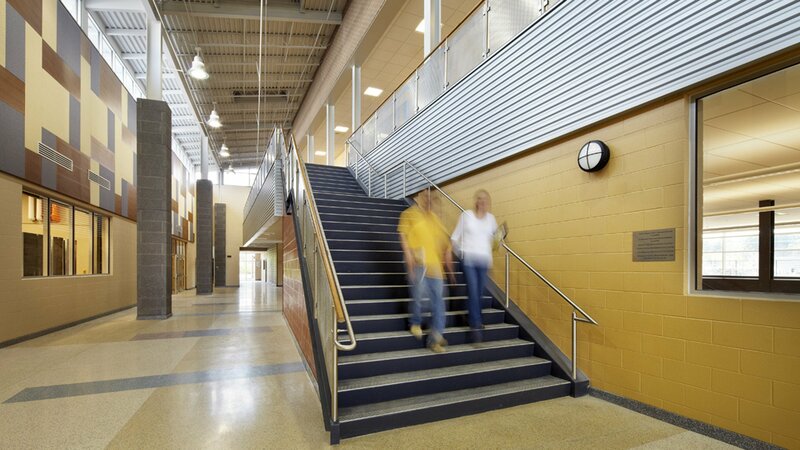 The resulting design also serves as a model for future career tech-focused high schools. 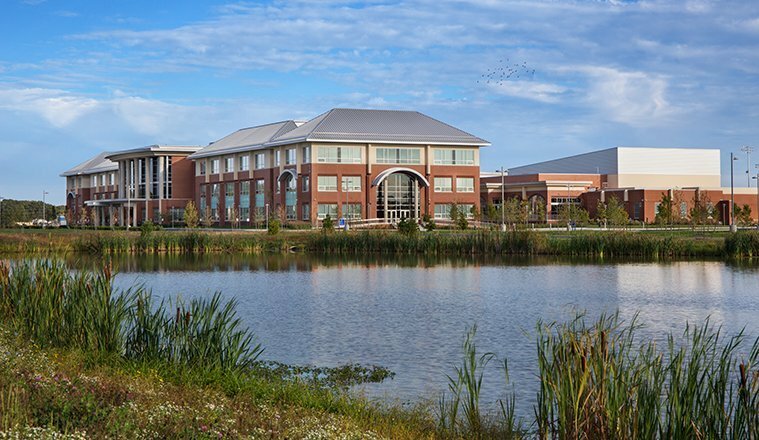 The 97,000 sf facility is located adjacent to Cambridge-South Dorchester High School. 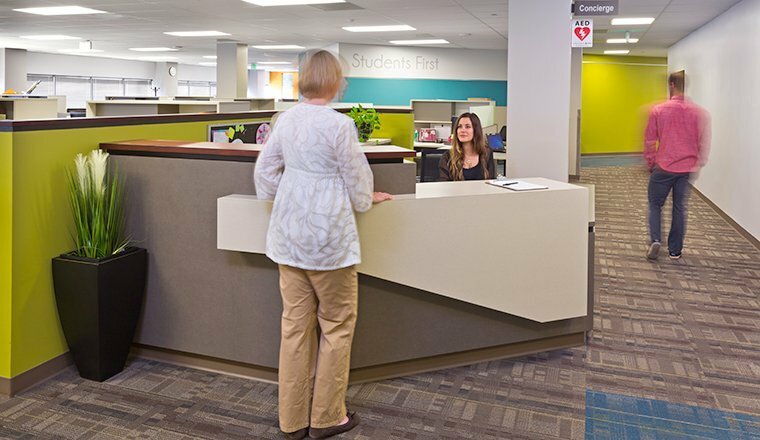 The diverse and complex programmatic needs of a state-of-the-art career technology center demands a stimulating environment for students, staff and community. At the same time, it must accommodate four career clusters, organized into 18 separate programs, – Construction, Transportation, Consumer Services and Information Technology – enabling students to identify and integrate within the larger school. The clusters encircle a two-story atrium, organizing the design and providing gathering and interactive display spaces. A courtyard encourages the trades to work together on construction projects. The collaborative nature of CTE curriculum is reinforced by extensive interior glazing, offering views into instructional and shop spaces, displaying the students’ learning process. This enlivens the communal spaces, giving students a glimpse of their peers’ efforts, and sparking interaction. 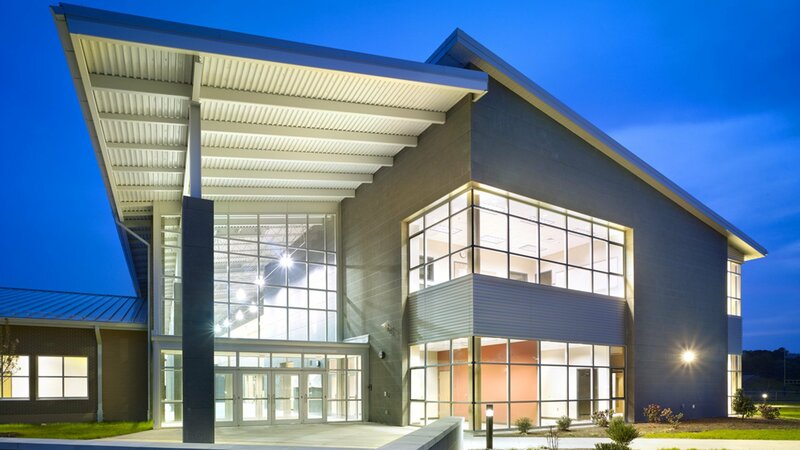 The design reinforces the link to community, industry and work-force development to the CTE programs. Early Childhood Education, Cosmetology, Culinary Arts and Horticulture are located in such a way as to promote public use and interaction, without sacrificing security. Transportation programs provide services for publically-owned vehicles.